Every Shabbos, The Shul is packed with over 13 different youth programs. Over 200 children of all ages, and 60 teens meet up in classrooms, libraries, meeting and conference rooms that span the Shul campus including a temporary classroom built on the deck. 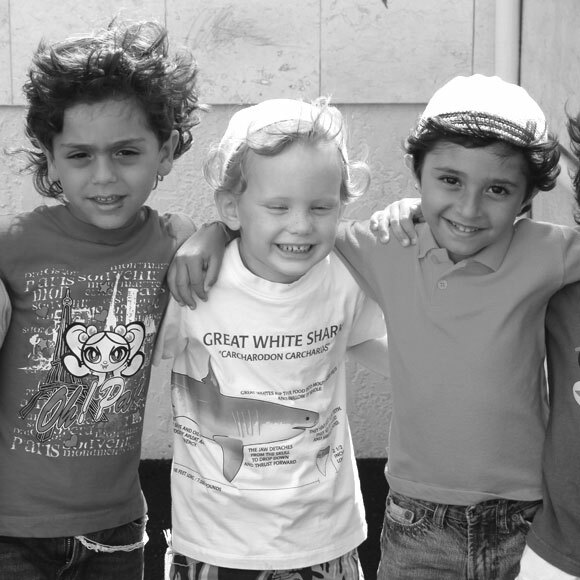 The Shabbos Morning Programs, led by experienced and energetic group leaders, provides an informative and exciting environment for children ages 3 through 16. The programs are run by 3 lead young Shluchos (“youth counselors for girls”), 2 Bochurim (“youth counselors for boys”), Rabbis and several Rabbinical students and part-time counselors and volunteers with oversight from the Youth Director. Each pre-teen age group incorporates Tefilla (prayer), Parsha (weekly Torah study) and general “Jewishness”, through games, songs and stories; experiencing a structured activity in a relaxed setting while being constantly stimulated. Children establish relationships with their peers that may not attend the same schools or live in their immediate neighborhood. A Kiddush exclusively for the children culminates the programs. Afternoons include a special program for boys of all ages to learn Mishnayos B’al Peh (certain Talmudic passages by heart), hear Jewish stories, and enjoy their own special meal. rewards students with prizes for participation. One bochur leads the program. Each month, 20 to 30 students who complete their Tehillim allotment are entered into a raffle to win great prizes. Hot chocolate and danishes for all who attend.